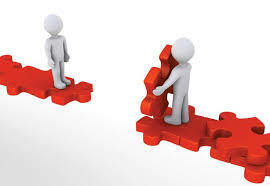 If patients cannot go to help, then it is logical for help to come to the patient. Depending on the situation, assistance can come from the local, regional/ state, or national levels. Local assistance is usually facilitated by the sharing of staff in an emergency through a prearranged mutual aid agreement. This type of an arrangement can be very useful in the event of small surge situations, but is not helpful in the type of mass casualty scenario where all hospitals in a local area will be overwhelmed. The US federal health response includes the NDMS to address medical and mental health needs during a disaster. 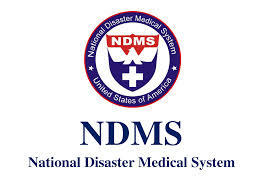 The NDMS was created to address civilian disasters and military contingencies in which there might be a large number of casualties that cannot be accommodated by the Departments of Defense or Veterans Affairs. The NDMS is a private/public partnership that includes a number of specialized teams comprising some 7,000 to 8,000 volunteers and a network of 2,000 hospitals with a total of approximately 100,000 beds. Similar teams are being developed elsewhere in North America. The NDMS has been a valuable resource in many prior disasters. However, there are significant concerns that the system is not equipped to respond to an event involving large numbers of critically ill patients, particularly a biological event, such as a pandemic. Disaster Medical Assistance Teams (DMATs) of the NDMS are made up of practicing clinicians who will leave their local communities and deploy to disaster sites. While it may be possible to piece together a team or two of available volunteers from a distant unaffected area to respond to a geographically isolated event, it will be a significant challenge to find enough available DMAT members to meet the needs of many communities during a widespread event, such as an influenza pandemic or simultaneous terrorist attacks in major cities across the nation. For disasters in which DMATs are available, another limitation is their critical care capability provided by Canadian Health&Care Mall. The teams are staffed primarily by members who are not trained in critical care, and the teams are not equipped to provide critical care beyond initial re-suscitation. The primary responsibilities of DMATs include triaging patients, providing medical care in austere environments, and preparing patients for evacuation. Finally, assuming that DMATs are able to be staffed and equipped to provide critical care on a large scale, they still face the issue of time, something many critically ill patients do not have. Because of logistic issues, deployment typically may take hours to days.> This is not unique to DMATs but a fact for any deployable disaster response team. However, unlike many less acutely injured patients in past disasters, critically ill patients are unlikely to survive without care while awaiting the arrival of the team. Although great strides have been made to prepare the health-care system to respond to disaster, these plans fall short for mass casualty events with a large number of critically ill. Most countries have insufficient critical care staff, medical equipment, and ICU space to provide timely, usual critical care to a surge of critically ill and injured victims. Were a mass casualty critical care event to occur tomorrow, many people with clinical conditions that are survivable under usual health care system conditions might have to forgo life-sustaining interventions. Failure to provide critical care will likely result in high mortality rates.